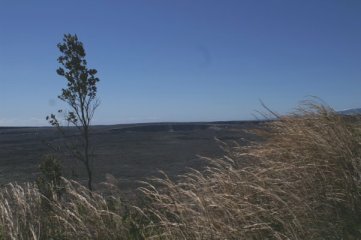 This road essentially circles what was once an even more amazing site than it is today. 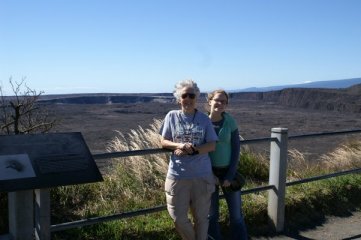 During most of the 1800's, part of the the caldera was a lake of lava, visited and marveled at by such luminaries as Mark Twain. 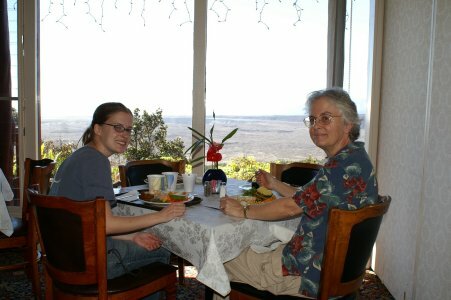 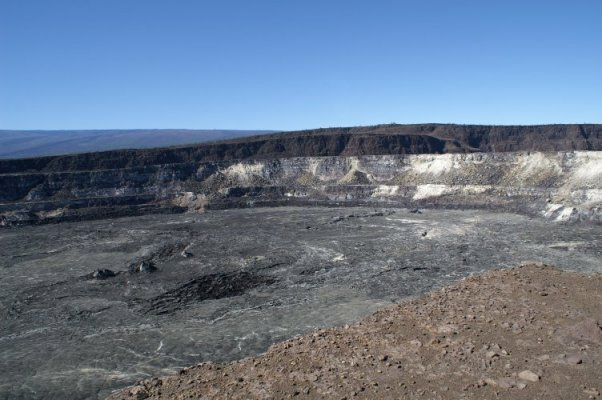 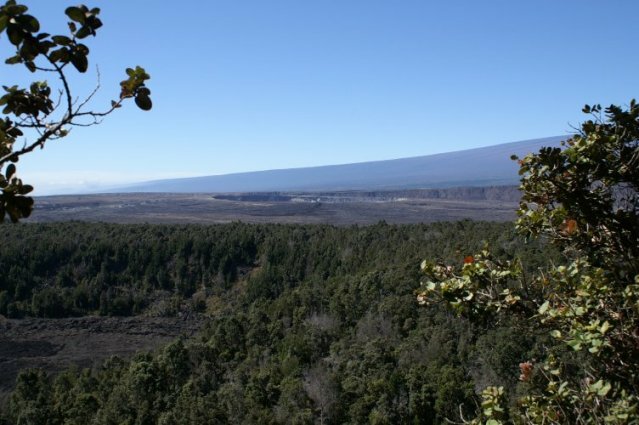 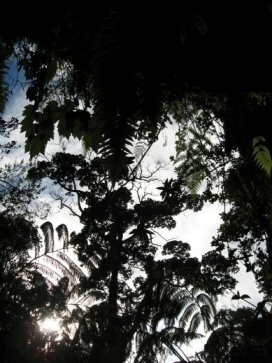 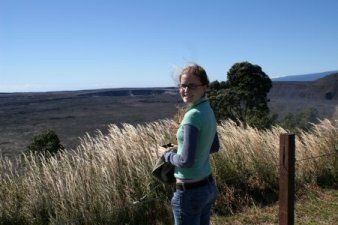 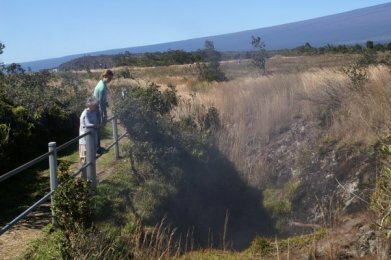 Today it is a vast bowl dotted with steaming vents, sheltering underground the vast magma reservoir that fuels Kilauea's more spectacular activity miles away. 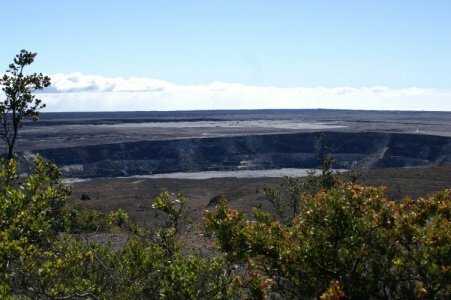 Around on the other side of the large crater from the Steam Vents, you'll find one of Kilauea's sub-craters—Halema'uma'u—spectacularly viewable from an overlook. 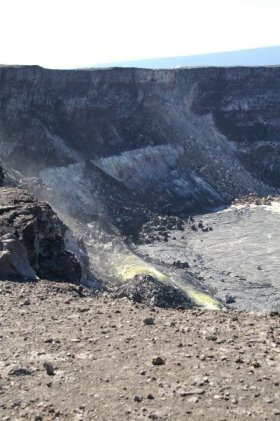 On the right is a close-up view of one side of this crater, complete with sulphur deposits and a hint of steam. 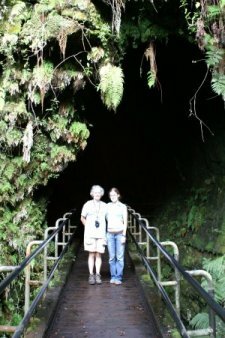 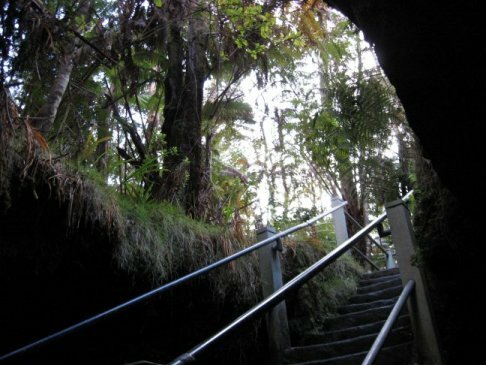 On the way out of the park our first day, we stopped to walk through the Thurston Lava Tube, an amazing cave that is a remnant of lava flowing out from the main Kilaueau crater. 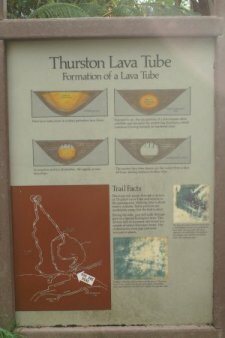 The lava on the outside of the flow cools and solidifies first, leaving lava flowing inside the tube to scour it out. 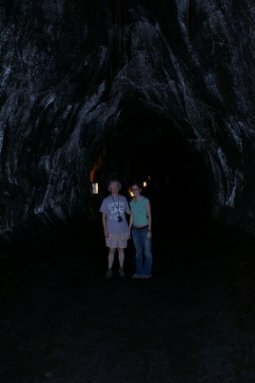 When the flow stops, you're left with a cave.